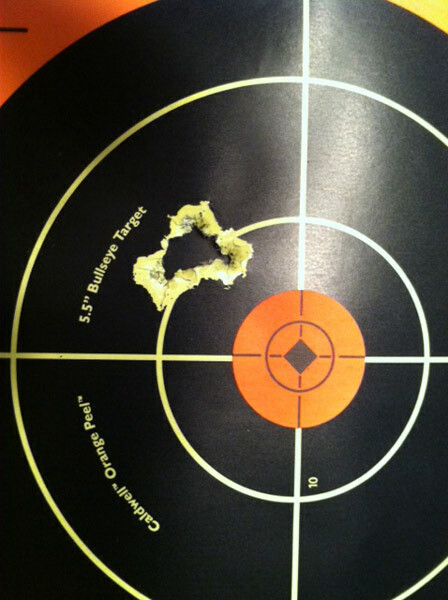 This group was shot with an Lrp-07 in 6.5 Creedmoor at 100 yards. Load is 38 grains of Win 748, Fed 210 primers , Berger 130 grain hunting VLD and is at magazine length. Thanks for another great product. My buddy and I were shooting at my range where I've got a 6" plate at 600. It's just a cheaper one that stabs in the ground, but it works. Well anyway, My buddy hadn't got to see me shoot the LRP-07 since I really got it dialed in. Thank you very much for the excellent customer service. I already placed an order for the hand guard and can already tell I made the right choice.